The previous Roundup, February 2012/2, is here and earlier editions are indexed here. Passionato.com now seems to be dead in the water as a download site; trying any of the links which I’ve given in past reviews will take you to their new online CD sales site in the USA. Most of the EMI/Virgin and Universal material will now most easily be found at amazon.com, amazon.co.uk and hmvdigital.com, with EMI and Virgin material from classicsonline.com. Be very careful, especially when downloading from classicsonline.com, that you aren’t being charged more than the cost of the equivalent CD(s)  in the case of 2-CD budget sets that’s around £7.50, rather than their £14 or £15 download price tag. Ensemble Matheus/Jean-Christophe Spinosi  rec. DDD. The Brandenburg Consort/Roy Goodman  rec. 1994. DDD. [Virgin: for full details see reviews by Jonathan Woolf (Recording of the Month) and Johan van Veen. I need do no more than point out the availability of the excellent Virgin recording as a first-rate mp3 download from hmvdigital.com for £4.49 except to warn those who have never heard Philippe Jaroussky’s unusually high counter-tenor voice before to try a sample first  its delightful qualities may not be to all tastes at first hearing. It took me a while to come to terms with his singing on another Virgin album, Un concert pour Mazarin, in the May 2009 Roundup*, but I think you’ll find his Vivaldi much more amenable. Amazon.co.uk also have the download for the same price, but their normal bit-rate is 256kb/s, while the hmvdigital.com version comes at 320kb/s. The classicsonline.com version is at 320k but costs £7.99. 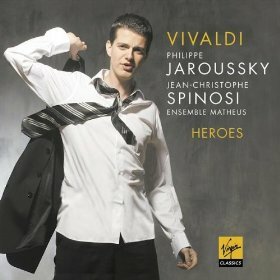 If you enjoy Jaroussky’s Vivaldi, hmvdigital.com also have his recording of Chamber Cantatas for £4.49. * The link to passionato.com no longer works  that, too, is available from hmvdigital.com for £4.49. The Hyperion may be a little more expensive (£5.99) but it’s even better value in some respects: it offers almost the maximum 80 minutes, comes with a booklet of notes, texts and translations and it’s available at the same price in both mp3 and lossless. Those who regularly read my reviews will be aware that Emma Kirkby can do no wrong. QED. Buy both these recording for a little over £10  there’s no overlap: even though both perform items from Ottone in Villa, the selections are different. Freiburg Baroque Orchestra/Petra Müllejans, Gottfried von der Goltz  rec. c.2009. DDD. One of the reasons why Johan van Veen preferred the DG Archiv recording of this wonderful music from Musica Antiqua Köln (477 8714: Bargain of the Month  see review) was its availability at budget price. The HMV Digital download places the boot on the other foot: the 4-CD of the Harmonia Mundi set costs just £7.99, while the DG set costs a still very reasonable £11.99. Both come in 320kb/s format, both offer excellent performances of this wonderful music and both are excellent value. The tracks should download in the correct order but you may find it more convenient to create sub-folders for each of the four parent CDs. Track 1 of CD1 is wrongly described as movement III  Rondeau; it’s actually I  Ouverture: lentement  vite  lentement and it’s impossible to rename it in Windows Explorer, though you can do it in the iTunes player. Amazon.co.uk and classicsonline.com get the track name correct but charge £20.49 (for 256kb/s) and £31.96 (for 320kb/s) respectively. Classicsonline.com include the booklet in the deal, but that’s little consolation when you can buy the CDs online for around £19. If for any reason this recording doesn’t appeal, the next best bargain comes in the form of the four separately available CDs from the Orchestra of the Golden Age on Naxos  download from classicsonline.com or stream from Naxos Music Library. 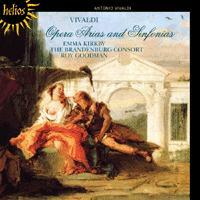 For a single-CD selection at budget price, there’s the King’s Consort on Hyperion Helios (below). Vovka Ashkenazy (piano); Reykjavík Wind Quintet: (Bernharour Wilkinson (flute); Daoi Kolbeinsson (oboe); Einar Johannesson (clarinet); Joseph Ognibene (horn); Hafsteinn Gudmundsson (bassoon))  rec. 1999, DDD. The mp3 version of this attractive recording was Chandos’ free gift with their recent online magazine with listing new downloads from theclassicalshop.net. It comes free and there’s always a bonus CD to download, so there’s no reason not to subscribe. Michael Cookson was generally impressed by the performances, though he felt that they might benefit from a little more bite  see review. The recording, which he described as ‘decent’, sounds well enough in the mp3 transfer. I should have mentioned two alternative recordings of Buxtehude’s Organ Music when I reviewed the 5-CD set on Ricercar by Bernard Foccroulle in the previous Roundup. If you’re looking for a large-scale overview, Hans Davidsson’s recordings on the Loft label will serve very well. I thought it competitive in a strong field when I reviewed it on CD  here. The downloads are: Volume 1 LRCD1090-1 (2 CDs), Volume 2 LRCD1092-3 (2 CDs) and Volume 3 LRCD1094-6 (3 CDs), all available from classicsonline.com (mp3 only). Those looking for a smaller selection will be well satisfied with a budget-price EMI Gemini 2-CD set of recordings by Lionel Rogg: 4563292, my Bargain of the Month on CD  see review  and available to download for £5.99 from amazon.co.uk (256kb/s) or £6.99 from hmv.co.uk in 320kb/s sound. I’m indebted to Dan Morgan for second thoughts on two recordings which I reviewed last month. BBC Philharmonic/Juanjo Mena  rec.2011. DDD. I’m not privy to Chandos’s decision-making process but I do wonder why so many of their recordings made in 24/96 are released in down-sampled 16-bit form. Normally they give the original recording resolution on their website, but for some reason that information is omitted in this Falla release. And to muddy the waters even further, audiophiles and conspiracy theorists are questioning whether the company’s high-res recordings are the genuine article. It’s a well-rehearsed topic on internet message boards  and not confined to Chandos either  with posters providing a bewildering array of graphs to prove their point. Not being an avid techie I can’t comment on these allegations; all I would say is that record labels need to be more transparent about these things. The BBC Philharmonic is a versatile band, and I’ve a growing collection of their CDs on my shelves. The conductor in this case, the Basque-born Juanjo Mena, is new to me, but his musical credentials suggest he’s an ideal choice for this repertoire. And so it proves  initially at least  the Three-cornered Hat suitably fresh and idiomatic. My only caveat would be that the dance rhythms aren’t quite as supple as I’d like, although the gentle languor of quieter moments  the Tranquillo (tr. 8) for instance  is beautifully done. The sound is clear and warm, with plenty of detail and nuance, although MediaCity, Salford, doesn’t seem as grateful or liberating an acoustic as the BBC Phil’s usual venue, Studio 7 at New Broadcasting House, Manchester. So, enjoyable if not top notch. Brian Wilson has suggested that Carlo Maria Giulini (EMI) finds more spirit and sparkle here; and from what I’ve heard of that recording I’m tempted to agree. Still, there’s plenty of fine, characterful playing here, and I did felt this piece improved with repeated listening. As for the Nights in the Gardens of Spain, pianist Jean-Efflam Bavouzet  whose Chandos Debussy series has been so well received  is a most discreet soloist. If anything he’s perhaps a little too self-effacing, but then this isn’t one of those out-and-out ‘hi-fi’ recordings in the Fiedler mould. Pacing is more of an issue though, and there are times when I really wished for more animation and edge  in the Danza lejana (tr. 12) for instance  but if you prefer your Falla à la Française then these performances should hit the spot. Coincidentally the second of the Homenajes is dedicated to Debussy, and a tad ponderous it is too. As always detail is nicely caught and timbres faithfully rendered, but it’s the thrust  or, more accurately, the lack of it  that concerns me most. The homage to Dukas is just plain dreary and, despite some cultured brass playing, the concluding Pedrelliana isn’t terribly inspiring either. A perplexing issue, and one that looked so promising too. No qualms about the sound  in its lossless 16-bit form at least  but if you want cut-out-and-keep versions of these popular pieces you’ll need to look elsewhere. The good thing about downloading music  bad for the impecunious, though  is unearthing unusual repertoire and, on a whim, pressing the ‘Buy’ button. BIS have a well-deserved reputation for adventurous programming, especially where composers of the far north are concerned. I recently reviewed their recording of Anders Hillborg’s Eleven Gates, and having been much tempted by the Icelandic composer Jón Leifs’ Edda  BIS-SACD-1350  I decided to give this lossless 16-bit version of his shorter works a shot. Trilogia Piccola, Leifs’ Op. 1, reprises the trenchancy and daunting width of Geysir, the Praeludium frankly intimidating in its punch and power. The Intermezzo is a gaunt Adagio that’s anything but a quiet interlude; the Iceland strings and brass are most eloquent here, but it’s the bold, percussive colouring that’s most arresting. Ditto in the skittish finale, which seems to end almost as soon as it’s begun. But then that’s one of Leifs’ strengths; he doesn’t overwork his material, always a relief in music as roughly hewn as this. Trois peintures abstraites (1955) is cut from much the same cloth, Leifs’ short, sharp utterances crowned by some fabulous percussion playing. The oft-punctuated central movement gives the woodwind a brief chance to shine, before we return to the Mesozoic shift and grind of the finale. True, Leifs’ writing is a tad relentless at times, but that matters less when the playing and recording are this good. In any case, this is the kind of music one ought to sample, rather than play in single sitting. The neighbours will be grateful for your consideration, I’m sure. In some ways the Icelandic Folk Dances are the real find here, mixing as they do Leifs’ dominant rhythms with long, winding tunes of simplicity and charm. Those stamping beats are never far away, albeit toned down in the second and third dances. The latter is both strutting and coquettish  a contrasting dance of the sexes if you like  the fourth dance an infectious celebration. Really, a most rewarding work, given a fine, idiomatic reading by Vänskä and his doughty band. The jangling bells and ostinati of the Overture to Loftur belie its folk-song content; indeed, the work has a forcefulness and economy of style that’s just astonishing. An accomplished overture that would be most welcome in the concert hall. As for the Consolation, Leifs’ ‘last greeting to mankind’, it has a nobility and inner strength that’s terribly moving. The upper strings are simply splendid, the keening quality of the cellos and basses very well caught as well. Another eventful detour, this little-known music is well worth your time and money. As always, BIS’s liner-notes are a model of legibility and interest, adding to the allure of an already worthwhile package. This was my back catalogue Download of the Month in the September 2009 Roundup as an mp3 download from passionato.com. The link which I gave there will no longer get you to the download  see the opening of this roundup for passionato’s abandonment of the download market. The performances have hardly dated at all  in most respects they still constitute my favourite among modern-instrument recordings  and the recording has come up sounding even better in the new lossless transfer. 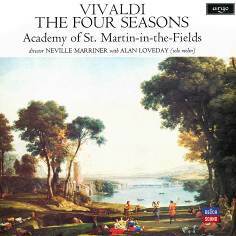 It’s win-win for Linn if you prefer original instruments in Vivaldi: their recent recording by the Avison Ensemble joins a distinguished group of recordings; it’s available in mp3, 16/44.1, 24/96 and 24/192 versions and the 112 minutes cost the same in each format as the single-CD Decca reissue. (Linn CKD365, see October 2011/2 Roundup). 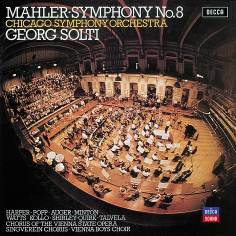 There’s even more to be gained in the case of the Georg Solti recording of Mahler’s Symphony No.8, the ‘Symphony of a Thousand’ (Decca Originals 475 7521). I reviewed the passionato.com mp3 version in the July 2009 Roundup and thought the performance still excellent enough to hold its own. Though I thought the recording too was still very competitive, I had no solution to offer for the minute drop-outs between tracks  with the music continuous, these small hiatuses are very annoying, clearly noticeable whether played via Squeezebox or Winamp or burned to CD. The lossless Linn download solves the problem. The recording sounds stunning even when compared with the more recent Simon Rattle version on EMI and the dropouts are non-existent. I liked that Rattle recording in its latest budget-price incarnation (EMI Masters 6317902) well enough to make it Bargain of the Month  see review  and it’s available on CD for as little as £4.80 but the Solti is at least as good in this new lossless download from linnrecords.com (UNI005: mp3, 16- and 24-bit lossless). Mention of price leads me to the one small fly in the ointment. The Linn mp3 downloads are competitive at £8, but both these recordings are available on mid-price labels, available from some dealers for considerably less than the £10 which the 16-bit downloads cost. I can confirm that they sound excellent in that format, to the extent that they hardly sound like ADD, but I wonder if it’s worth paying more than for the CDs, especially when Linn offer their own recent 2-CD recording of Vivaldi’s complete Op.8  not just the Four Seasons  for the same price in each format. Where I believe that Linn do score  and I understand that this is why Universal are making these recordings available to Linn  is the availability of audiophile 24-bit/96kHz downloads, which makes them equivalent to Decca’s digital re-masters. I believe that there is a market for 24/96 and 24/192 downloads at around Linn’s price of £18; Chandos and Channel Classics appear to think so and I believe that Linn’s own Studio Masters have been selling well, but these are all modern DDD/DSD recordings. So too are the 24-bit versions of BIS recordings which eclassical.com offer, mostly for the US dollar equivalent of much less than £18. The Sixteen/Harry Christophers  rec. October 2011. DDD. Until now the offerings on the sixteendigital.com site have been limited to a handful of recordings from the Coro back catalogue. Now, at the same time that the Brahms Requiem is also added from that back catalogue, we have the release of The Sixteen’s latest recording of the music with which they are touring in 2012. The backbone of the programme is provided by four works by Orlande (de) Lassus, interspersed with works by two of his most distinguished predecessors to make a splendid programme of music from the Flemish School. If you’re looking for specific connections, Lassus is said to have performed the Brumel Mass to great effect for the court at Munich. Performances and recording are all that we’ve come to expect from The Sixteen: only those who prefer slightly less perfection and a more forthright singing style will be mildly disappointed. With recording to match  at least in the HD flac version to which I listened  and a fine booklet as part of the deal, this is strongly recommended. One small reservation: the two extracts from Brumel’s spectacular ‘Earthquake’ Mass are so well performed that you’ll want to hear the whole work, in which case you can do no better than to turn to The Sixteen’s ‘rivals’, also based in Oxford, The Tallis Scholars, most inexpensively available on a set Gimell GIMBX302: Sacred Music in the Renaissance 2, four CDs for little more than the price of one. (Alternatively The Tallis scholars sing Flemish Masters, CDGIM211, two CDs for the price of one.) See January 2009 Roundup, The Tallis Scholars at 30 Roundup, review and December 2010 Roundup. As you might expect, The Sixteen take the two extracts at a noticeably faster pace than The Tallis Scholars; it’s a matter of personal taste which you prefer. You’ll also find a complete performance of the Brumel from the Huelgas Ensemble/Paul van Nevel on YouTube here: their recording, formerly Sony, has recently been reissued on Newton Classics 8802092. There’s more Brumel on the Coro label, this time from the Hilliard Ensemble and Paul Hiller, the Eastertide Mass Victimæ Paschali laudes and other works (COR16052  see October 2011/2 Roundup). Elizabeth Kenny (lute); David Miller (theorbo, lute); Joanna Levine (consort bass viol); Mark Levy (lyra viol)  rec. 2001. DDD. Perhaps it’s because the music of the multi-talented Campion  physician, poet and composer  with the exception of the popular Never weather-beaten sail, is so little known that this recording fell into the ‘please someone buy me’ half-price doldrums. Or is it that the idea has gained currency that English lute songs, with the exception of the melancholy Dowland and the well-known Byrd, are all soppy? Whichever it is, put prejudice aside and try this recording. It won’t still be on offer for £5.60 but it’s excellent value at the regular £7.99  and check out the current Hyperion offers while you’re about it. The download copy of the booklet is a little more rough and ready than usual, but it contains all the notes and texts. The King’s Consort/Robert King  rec. 2004. DDD. This is another excellent recording which, most surprisingly, has found its way into the unloved ‘please buy me’ category at half price. It will have reverted to full price by the time that you read this, but it’s still a bargain in download form at £7.99, with lossless flac and alac available at the same price as mp3. 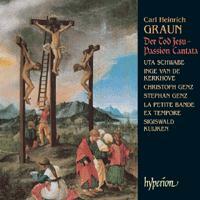 Hyperion even have a few remaining copies of the SACD version. While you’re at it, you should also obtain Volume Four and download the (free) booklet for Volume One, with its introductory essay. If you’re looking for smaller collections of Monteverdi’s music, Hyperion can offer those too on two budget Helios albums, one of which I reviewed some time ago (CDH55145  review here: download from hyperion-records.co.uk.) I mentioned the other, a 1958 collection performed by Emma Kirby and the Parley of Instruments in my Hyperion at 30 article  here. It’s since been reissued on the Helios label, CDH55345  download here  so it’s even better value. Above all, of course, don’t forget the Vespers of 1610, either in the King’s Consort recording  CDA67531/2: see Hyperion at 30  or from Andrew Parrott and the Taverner Consort on a Virgin budget twofer (5616622, around £7.50 on CD in the UK; don’t pay more that for a download). 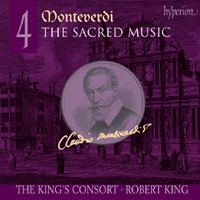 The King’s Consort and Choir/Robert King  rec. February 2004. DDD. If anything, this fourth and final volume in the series is even better than Volume 3 (above). 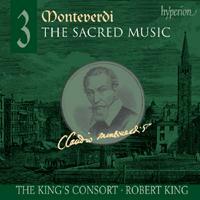 The music, dating from Monteverdi’s final decades, is excelled only by the 1610 Vespers, and the fact that the performances are given by the King’s Consort means that they are self-recommending. With excellent recording  preferably in one of the lossless formats, at the same price as mp3  and John Whenham’s notes, you couldn’t do better. Much of the music on Hyperion’s four CDs was published in Selva morale e spirituale, a complete recording of which by Konrad Junghänel and Cantus Cölln is available from Harmonia Mundi (HMC901718/20). It seems to be deleted on CD but both hmvdigital.com and classicsonline.com offer this 3-CD set as a 320kb/s mp3 download. There’s a considerable price difference: it’s £7.99 from HMV  here  but costs three times as much from classicsonline.com. 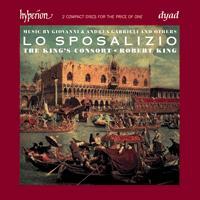 Hyperion have one more King’s Consort ace up their sleeve: Lo Sposalizio, a reconstruction recorded in 1998 of the annual ceremony whereby the Doge ventured out in the ceremonial barge, il Bucintoro, for the symbolic wedding of Venice to the sea. The music, by Andrea and Giovanni Gabrieli and a host of others, includes one short piece by Monteverdi. The short playing time of 89 minutes spread over two CDs, may have seemed something of a handicap, though offered at a special price, but it’s due for reissue in April 2012 as a more obvious bargain on Dyad CDD27022, two CDs for the price of one. It’s available for download now  no need to wait for the discs on March 26th. Not the least of the virtues of this set is the inclusion of Canaletto’s painting of il Bucintoro returning from the ceremony on the cover. Download from hyperion-records.co.uk in mp3 or lossless. 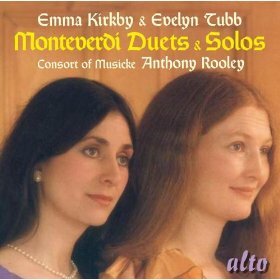 There’s an unbeatable bargain on the budget Alto label, with Emma Kirkby and Evelyn Tubb and the Consort of Musicke, directed by Anthony Rooley in 1986, performing a number of Monteverdi duets and solos, sacred and secular. I haven’t heard the reissue on CD or download but the original, on the defunct IMP Pickwick label, was superb and the Naxos Music Library streamed version encourages me to believe that the classiconline.com download will be fine, too. Musical Concepts Alto ALC1060 [67:56]  download here. At £4.99, the download represents a saving of just under £1 on the CD  don’t pay £7.99 for it from hmvdigital.com or even £5.99 for what is probably a lower bit-rate from amazon.co.uk. Some sloppy proof reading has allowed the first work Chiome d’oro to be printed on the CD insert and by NML and classicsonline.com in the track listing as Chioma d’oro. Pickwick got it right in the first place. The Virgin recording of Monteverdi’s L’Orfeo, conducted by Nicola Haïm, well worth considering, but probably not for purists  see review by Robert Hugill  is now available at a reduced price on the EMI Opera label: download as 5099994825350 for £8.99 from classicsonline.com. That’s more than the £2.99 download from amazon.co.uk, which I reviewed as Bargain of the Month in the August 2011/2 Roundup, but it does come at a higher bit-rate of 320kb/s when some of the tracks from amazon.co.uk are not much higher than 200kb/s. There’s no libretto or translation but subscribers to the Naxos Music Library will find both there  and there are other online sources. 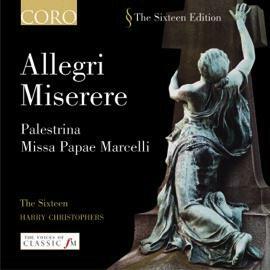 I mentioned this recording en passant in the March 2011/1 Roundup in reviewing a new recording of the Allegri from the Cardinall’s Musick on Hyperion. The link which I gave then to passionato.com no longer applies; instead thesixteendigital.com is now the place to go for the download and booklet in mp3 or lossless sound. 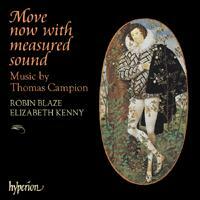 If you require only mp3, classicsonline.com also offer the booklet with their version. It’s still a nuisance if you have, say, everything but the Palestrina Stabat Mater on other recordings, perhaps from the Tallis Scholars, especially as The Sixteen are a little too detached in the Allegri. I know that I’ve written about my dislike of versions of this work which sound too much as if grown in a hothouse, but the Scholars take just a little longer to let the music breathe, especially on their more recent recording, and I think that is to its advantage. Their first version is on Sacred Music in the Renaissance Volume 1 and their later version with embellishments on Volume 3, where you will also find the Missa Papæ Marcelli. Both these  and Volume 2  are superb bargains. Heard in their own right, however, the other works on the Coro recording are first rate and the lossless recording  flac and alac both available  is excellent. Florilegium/Ashley Solomon and Bolivian Soloists. If you followed my recommendation and bought or downloaded any of the Hyperion albums of baroque Latin American music*, the three volumes of Bolivian Baroque from Channel Classics could well be your next port of call. The music is a little less exotic than some of the tracks on Hyperion, but it’s still very appealing and the performances, from a combination of European and Bolivian forces, are excellent. The recording is first-rate, too, as is the booklet. I downloaded Volume 1 in 24/96 and Volume 2 in 24/44 format. Prices start at a very reasonable £7.44 for the mp3; audiophiles will want the 24/192 at £16.53, which I understand is the best selling format. There’s a third volume on CCSSA28009. There’s a taster video for each volume on the website. * New World Symphonies (CDA67380), Moon, sun and all things (CDA67524) and Fire burning in snow (CDA67600)  see Hyperion Top 30. 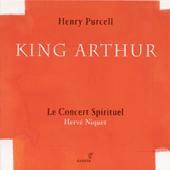 Le Concert Spirituel/Hervé Niquet  rec. 2003? (P) 2004. DDD. By omitting all the spoken sections  no great loss unless you’re a much greater fan of Dryden than I am  Glossa have squeezed the incidental music onto a single CD. By contrast the Warner reissue of William Christie’s Erato version runs to two CDs (2564 67743-4: Bargain of the Month  see review. Download from amazon.co.uk for £5.49.). Both recordings make it clear that there’s enough fine music here to make the work’s neglect, apart from Fairest Isle, inexplicable. I wouldn’t jettison Dido and Æneas in its favour, but it’s certainly worthy to be mentioned in the same breath. The frost music as the Cold Genius of the Isle rises even uncannily foreshadows Vivaldi’s Winter concerto  an effect admired by Purcell’s contemporary John Eccles to the extent that he copied it. If neither of these recordings is to your taste, there’s a third option, 64 minutes of highlights, all the music that matters, from an earlier Erato recording with John Eliot Gardiner directing (Apex 2564 61501-2: around £5.50 on CD or download for £3.99 from amazon.co.uk). None of the download versions come with the text but you’ll find that online  for example here. 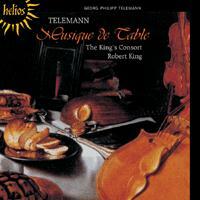 The King’s Consort/Robert King  rec. 1987. DDD. 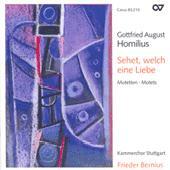 If, for any reason, the Freiburg version on Harmonia Mundi (Bargain of the Month  above) doesn’t appeal  if, for example, you insist on a lossless flac or alac version, though the mp3 of the Harmonia Mundi set sounds fine  this offers a good taster, with two lengthy suites, one from the second, with a prominent trumpet part, and one from the third production. Performances are predictably excellent  I can’t recall ever hearing anything from the King’s Consort that wasn’t  and the recording, notes and budget price add to the appeal. King’s tempi are a little more measured and overall weightier than the Freiburg recording, with gains and losses in the process. Each of the Suites on Hyperion is rounded off with the Conclusion in the same key from the appropriate production. With Holy Week and Easter on the horizon, I shall be including a number of seasonal recordings in this and the next Roundup. I’ve already recommended the recent Linn recording of the more popular St Matthew Passion (CKD313, Recording of the Month  see review and review and March 2010 Roundup) but my personal preference is for the St John. Van Veldhoven and his team are up against strong competition from John Eliot Gardiner (DG Archiv  still my overall favourite: download from hmvclassical.com) and from Frans Brüggen (Glossa GCD92113  see May 2011/1 Roundup), especially as the Brüggen is available as a lossless download from eclassical.com. I’m not going to repeat the details which Johan van Veen includes in his detailed review of the Channel Classics SACDs other than to add that I enjoyed this recording rather more than he did. I know what he means when he writes of a slight lack of drama, but that may well be an inevitable consequence of the one voice per part school of thought, which van Veldhoven follows here. The lossless recording is excellent and the booklet is full and informative, though the less expensive reissue  please note the new catalogue number  no longer contains the lavish illustrations to which JvV refers. The Hungaroton recording, formerly available on the Harmonia Mundi Quintana label, gives an indication of why Graun’s Passion Cantata was for many years preferred to the Bach St John and St Matthew settings. With Holy Week and Easter in the offing, I’m not suggesting that this should supplant Bach in your estimation, far from it  it’s a very different work, with the story told in the form of poetic reflections rather than from the account in any of the gospels  but it makes an interesting alternative. 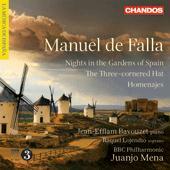 Neither the Quintana nor the Hungaroton CD is currently available in the UK, so the classicsonline.com download is the only source for this recording. Németh squeezes the whole work onto one CD by dint of some small cuts and fastish tempi by comparison with the version on Hyperion, though that’s offered as two CDs for the price of one. I’m not sure whether it’s simply because I’ve owned the Quintana disc for several years and become accustomed to Németh’s performance, but I prefer his tempi where they are markedly different from Kuijken’s, as in the opening chorale  you’ll recognise the tune as that which Bach uses for O Haupt voll Blut und Wunden. The contrast with the second section, where the choir meditates on the physical suffering of Jesus, is all the more marked in Németh’s version, though even here he is just a little faster than Kuijken. Both employ period instruments. If you don’t like this music to be over-sentimentalised, you’ll probably prefer the Hungaroton. In other respects the Hyperion recording is preferable  it’s available in lossless as well as mp3, for the same price as the Hungaroton; the tenor, Christoph Genz, is better than Martin Klietmann, and it comes with the booklet of texts and translations, absent from the classicsonline.com version. Because of Hyperion’s generosity, however, you can download their booklet even if you don’t purchase their recording. Apart from the regrettable lack of texts  and Johan van Veen’s review will partly help in this respect*  this is an excellent selection from the music of Homilius, one of a series of recordings which Carus have made of his music in recent years. I hadn’t even heard of Homilius before Carus took up his cause and he’s still hardly a household name  there’s no entry in the last full Penguin Guide (2010) or the current Gramophone Guide  but this and the other recordings in the series have revealed him as an important figure in the generation after JS Bach. 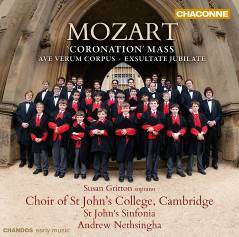 St John’s Sinfonia/Andrew Nethsingha  rec. July 2011. DDD. There are many fine recordings of the Coronation Mass, but this new Chandos release stands out for a number of reasons: the inclusion of two of the Church sonatas which were written for the purpose of inclusion in the liturgy, the existence of both 16- and 24-bit lossless downloads, the provision of texts and translations, and the couplings which contribute to the generous playing time. That puts it ahead in terms of playing time of the Winchester/Christopher Hogwood version on Decca 436 5852 which I recommended in the January 2010 Roundup and rivalled only by Peter Schreier’s excellent Philips coupling of the Requiem and Coronation Masses. (The passionato.com link to the Hogwood no longer applies; download from amazon.co.uk for £3.97. Download the Schreier also from amazon.co.uk for £6.97). Schreier gives us two masterpieces in excellent performances, still sounding very well on CD  I can’t vouch for the download but the CD remains my version of choice for the Requiem in particular. If that’s the combination that you want, it’s unbeatable. The Decca recording is also strongly recommended, not least for the team of soloists, especially Emma Kirkby, and the Vesperæ de Confessore coupling is well worth having. The new Chandos recording is, thus, up against strong competition. The couplings for the Coronation Mass include two short masterpieces, Ave verum corpus and Exsultate, jubilate, but the Missa brevis is a run of the mill example of the short settings that Mozart had to compose for Archbishop Colloredo, who liked to get off hunting after Mass. It is, as Jeremy Summerly’s Chandos notes state, remarkably tight, but I can’t summon much enthusiasm for it. Susan Gritton is in competition with Emma Kirkby in the Coronation Mass and Exsultate. Heard one straight after the other in the latter work, I have to award the palm to Ms Kirkby and the unassailable beauty of her tone. (With Westminster Cathedral Choir, the Academy of Ancient Music and Christopher Hogwood, Decca Oiseau Lyre 411 8332  see November 2010 Roundup. Replace the passionato.com link with amazon.co.uk, £7.49. Also on Eloquence CD 476 7460  see review  and Emma Kirkby: A Portrait, download from hmvdigital.com (320kb/s) for £7.49.) Be aware, however, that the playing times of the two Kirkby/Hogwood recordings are very short: that including Exsultate runs to just over 47 minutes. Put that Decca recording out of mind and the new Chandos ranks very high. If I seem to have been praising the new recording with faint damns, let me end by extolling its virtues  it’s only by comparison with Kirkby and Hogwood, both of whom stand almost infallible in my esteem in anything that they touch, that I failed to make this my Download of the Month. It has a great deal going for it  fine solo singing, a choral contribution from a choir to challenge the best that Oxford and Cambridge have to offer, with a director who has improved even on his predecessor, a fine period-instrument accompaniment, excellent recording in a variety of formats  I listened to the 16/44.1 version  and a first-class booklet and this should be a best-seller. I even award some points in favour of the new recording  the beautiful Agnus Dei, so reminiscent of the Countess’s aria Voi che sapete in Figaro, sounds less drawn out than by Hogwood, though they take almost exactly the same time on paper; the tempo transition at around 4 minutes is more naturally handled, and the Gritton sings Agnus in the Italian manner, where Kirkby employs the hard g of her classical Latin training  yes, I was taught to pronounce it that way, too, and they probably used the Germanic hard g in Austria in Mozart’s time, but I persist in disliking it. 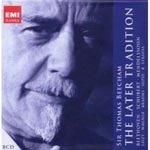 Sir Thomas Beecham conducts the Royal Philharmonic Orchestra with various performers. This is marginally less essential than the set of Beecham recordings labelled English Music which formed my Bargain of the Month in the July 2011/1 Roundup, but I’m very pleased to see that it’s now available for download from classicsonline.com and even more pleased to report that they have put it out at a competitive price (£14.99) when I’ve been complaining recently about budget sets from this source being over-priced, sometimes at twice the cost of the parent CDs. Even at £14.99 this costs more than from amazon.co.uk, but their £11.99 version is likely to come at no higher than 256kb/s, whereas the classicsonline.com version is at the full mp3 rate of 320kb/s. I’m a great fan of Beecham, but not everything here comes from his top drawer. I don’t warm to his Beethoven as David Bennett does, preferring, to name but two, Sir Charles Mackerras in No.2 (Hyperion CDS44301/5, with complete symphonies but can be downloaded separately) and Colin Davis in No.7, recently reissued by Beulah (Reissue of the Month: 15-16BX129  see February 2012/1 Roundup). Distance now too readily lends some enchantment to Beecham’s Beethoven but his recordings of both the Second and Seventh came in for a good deal of justified stick in the 1960s. The 21-minute selection from the incidental music to The Ruins of Athens, however, is well worth having  only the Overture can be said to receive even an occasional performance  and the Mass in C can still hold its own against more recent versions. Beecham’s recording of the Brahms Second Symphony has been out of the catalogue for far too long. This show-stopping performance is worth the price of the box set on its own. The Schubert symphonies are little gems and Beecham brings out their full potential; even if you already have these, as recommended in my May 2009 Roundup, the new set is worth having. If you haven’t it becomes mandatory. (NB the passionato.com link no longer works  if you want the Schubert on its own, go to classicsonline.com or hmvdigital.com, but the £7.99 that each will charge is more than half the cost of the complete new set). Some of the recordings are little more than adequate  the Beethoven Second is a case in point  but most have come up sounding well. [BIS: Recording of the Month  see review by Dominy Clements]. Knowing some of the many fine recordings which Iván Fischer has made for Channel Classics, I was pretty sure that this recording was going to be a strong candidate for Download of the Month. In the event, I was a little disappointed: this performance of the Rite of Spring is a slow-burner. Heard on its own it seems a little too tame and compared with two classic versions it never quite becomes as incandescent as Stravinsky’s own recording or Doráti’s Minneapolis version, a feeling which is confirmed in direct comparison. As both of these are readily available, the appeal of the Fischer is limited. Stravinsky’s own early 1960s performances with the Columbia Symphony Orchestra couple the Rite of Spring and the complete Firebird on a generously full Sony CD (SMK89875, around £7.50 in the UK). The Doráti recording on Mercury, also generously coupled with Petrushka, is available for £7.49 in 320kb/s mp3 from hmvdigital.com. 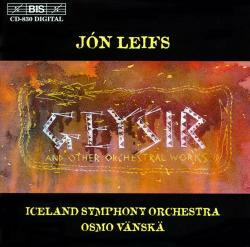 As the new recording is available as an SACD and in 24-bit download versions, however, it’s appropriate to compare the new Fischer version not only with Stravinsky and Doráti but also with Andrew Litton and the Bergen PO  the download from eclassical.com in mp3 and 16-bit lossless costs $8.15 and in 24-bit $12.23. Both prices compare very favourably with the Channel Classics equivalents  £7.44 for mp3 and for £11.57 for 24/44.1  though there’s no equivalent of the 24/96, 24/192 or DSD versions from eclassical.com. The differences in timings between Litton and Fischer are not huge; though the former is faster overall in both sections  15:32 and 17:52 against 16:40 and 18:13  it seems to me that Litton achieves greater urgency from the start, though he also leaves enough in reserve for the climaxes. Litton uses the revised 1947 version, as I presume that Fischer does; though 1913 is the only date given in the booklet, the differences are minimal, chiefly concerned with corrections to the manuscript score as first published in 1921, and should not account for tempo variations. My feeling that Fischer’s new version is a slow burner is borne out by comparing his times with Stravinsky himself  it’s not until the Procession of the Elder that the two begin to be close: the ratio for the Introduction generally applies up to that point. (Stravinsky 2:56, Fischer 3:28). By the Dance of the Earth which ends Part 1, however, he’s actually marginally faster than the composer. The same pattern is repeated in Part 2, with Fischer noticeably slower at the start but building up to tempi on a par with Stravinsky’s by the time that we reach the Glorification of the Chosen One. You may be thinking that a slow start and a gradual build-up to a faster climax makes the work more dramatic. In principle that could well be the case, but in the Rite of Spring a failure to create dramatic tension right from the start can be fatal. In that respect tempo is of minor importance, as the Kreizberg recording which I discuss below makes clear. Simon Rattle is also slower than Litton, Doráti [14:04 + 15:53] or Stravinsky himself [14:42 + 16:44]. He takes 8:07 for the first three sections as against 7:17 from Stravinsky and 7:58 from Fischer, though he works up to a speedy climax for the last two sections, the Wise Elder and the Dance of the Earth  at 1:33 he’s faster than Stravinsky or Fischer here. In part 2 he takes his time also and there’s no speeding up for the final Sacrificial Dance. His timing for the complete work is within seconds of Fischer’s  and I found his recording slightly lacking for that reason when I reviewed it as part of a budget-price reissue of the Rite, Petrushka, Firebird and Apollo on EMI 9677112, though I thought and still think that an excellent introduction to the four ballets  see my review and Simon Thompson’s review of an earlier reissue. At around £7.50 it’s a very fine bargain  don’t dream of paying £7.99 for the classicsonline.com download of these performances of just the Rite and Apollo. Litton, Stravinsky himself and Doráti in Minneapolis may all be faster than Fischer, yet it’s not just timings that matter, as I constantly have to remind myself. I recently gave a high recommendation to a 3-CD set containing Firebird, Petruska, the Rite and Pulcinella from the Monte Carlo PO under Yakov Kreizberg (OPMC001, 3 CDs at budget price, around £20: Recording of the Month  see review). Kreizberg is actually slower in most sections than Fischer  comparing his version with Litton’s then made me think the latter a little too fast, but I’ve come to think of them both in the highest possible terms  yet he manages to knock your socks off in a way that Fischer and Rattle just fail to do. It’s perhaps not by accident that Fischer’s commentary on the 10-minute preview on the Channel Classics web page mentions the similarities as well as the differences between Firebird and the Rite of Spring, since I kept hearing echoes of the earlier work in his performance of the Rite and thought his performance of the Firebird Suite so good that I wished that he had given us the whole work. To return to Litton, don’t just take my word for the quality of the performance: Dominy Clements, who thought this recording ‘more than a bit special’ and ‘damn near definitive’, made this Recording of the Month  see review. It’s also coupled with a very fine account of Petrushka, a more substantial filler than those on Channel Classics. Having listened to this recording from the Naxos Music Library, I expected the 24-bit recording to sound very good indeed, and so it proved. Both downloads come complete with pdf booklet. The back page of the Channel Classics booklet suggests that the Rite is divided into 14 tracks when, in fact, there are just two, as on BIS. Some inattentive proof-reading has allowed Scarifice to stand as the spelling of Sacrifice. Jennifer Bate (organ of the Cathedral of St Pierre, Beauvais)  rec. 1980. DDD. Jennifer Bate was Messiaen’s choice to give the first UK performance of Livre du Saint Sacrement in Westminster Cathedral, in his presence, so her performances of his music have some claim to be authoritative and the recording is good, even in mp3 format. The original CD with this coupling is no longer available except as a download, but the Regis reissue couples les Corps glorieux with l’Ascension on RRC1087 at budget price (around £5.50), which is less than you will pay for the download (£7.99 in mp3, £9.99 in lossless). 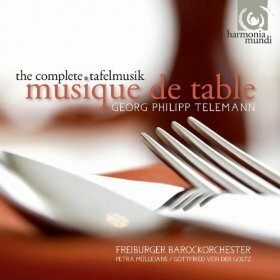 Recommendable alternative downloads include Timothy Byram-Wigfield on Delphian DCD34024 (Les Corps glorieux, Le Banquet céleste and Apparition de l’Église éternelle  download from classicsonline.com, mp3) and Hans-Ola Ericsson on BIS (BIS-CD-442, les Corps with Verset pour la Fête du Dédicace  from eclassical.com, mp3 and lossess). The eclassical.com download of the Ericsson is particularly good value at $7.91.